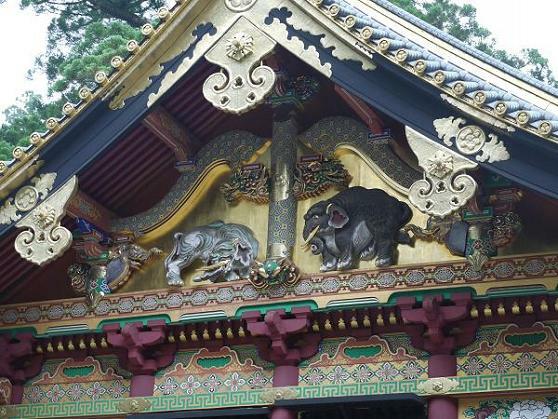 “Sozo-no-zo” imaginary elephants, found in “Tosho-gu” in Nikko, were carved from a design by “Kano Tanyu”, who had never seen a real elephant. There are three decorative warehouses right after passing through the main gate of “Tosho-gu” in Nikko. Various kinds of costumes and goods used for annual events of this Shinto shrine are stored in these brilliant buildings, which were designed after ‘Shoso-in” warehouse in “Todai-ji” in Nara. On the gable ‘Kami-jinko” warehouse on the left, a pair of elephants are carved as shown in the picture. These are, what is called, “Sozo-no-zo” imaginary elephants. “Kano Tanyu”, who played an important role as an art director when “Tosho-gu” was built, made a design for them even though he had never seen an elephant. Accordingly, their earlobes are inside out and the tails are a little strange. He was a master painter of the “Kano” school established in Kyoto. 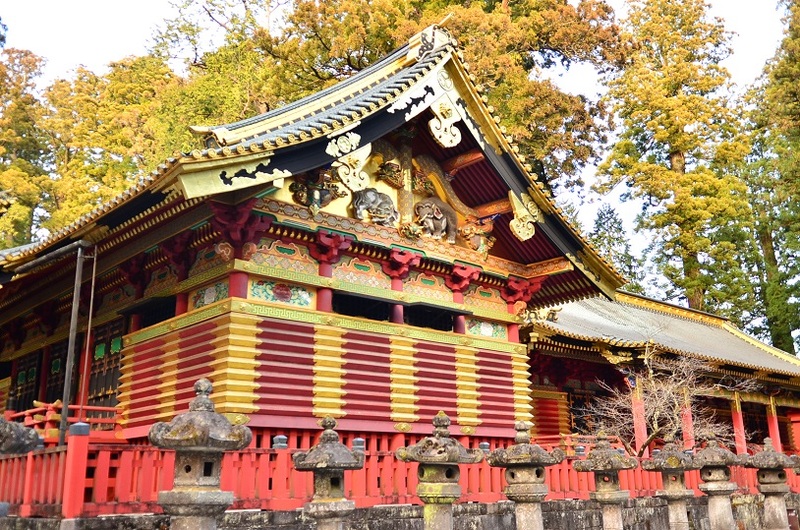 The artists of this school had been patronized by top-ranking “samurai” warriors since the 15th century. He worked for the Tokugawa shoguns in Edo, present Tokyo, in the 17th century.